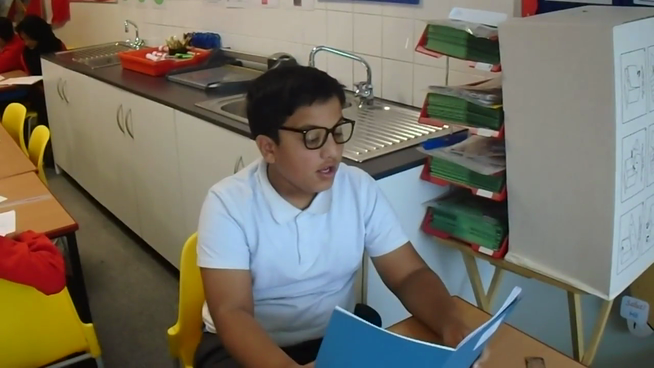 Y4 children are able to perform a more detailed dialogue representing themselves. 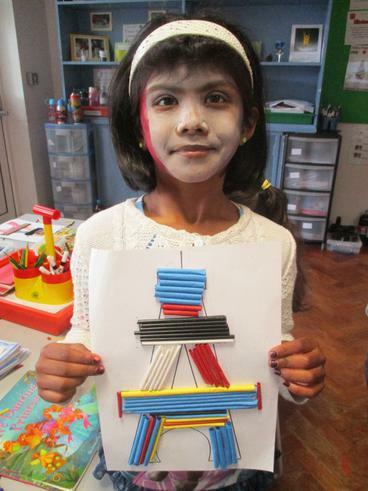 In Year 3, children were learning about Ancient Egypt's God and what they represent in French. 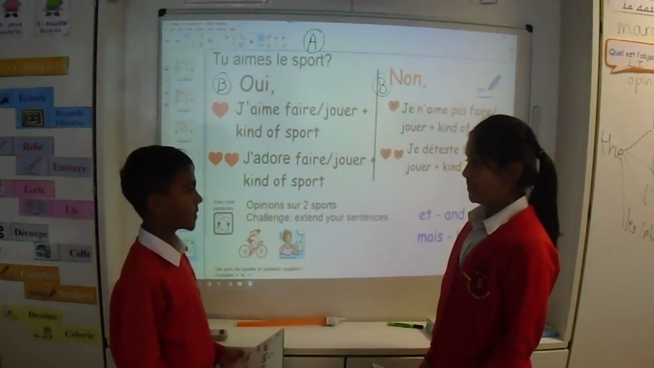 Y5 children performing a dialogue talking about sports they are practising and giving opinions about sports. 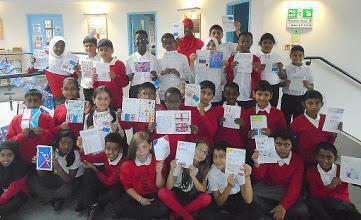 Languages is a compulsory subject for KS2 under the 2014 New Curriculum. 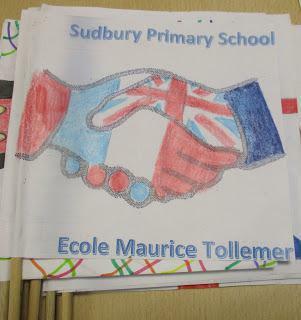 At Sudbury, we learn French both in KS1 and KS2. 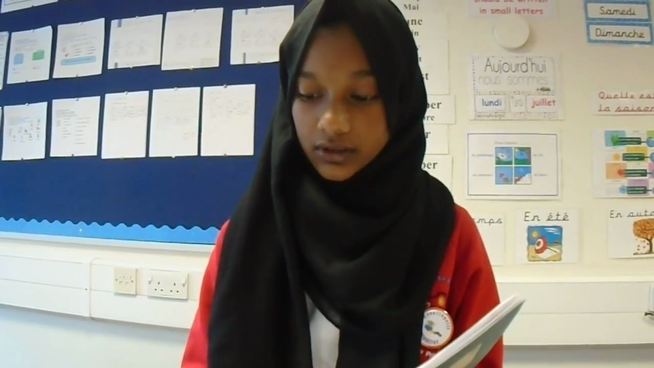 We have a rich and broad curriculum, where the use of authentic resources motivate the pupils and enable them to develop their language skills and their intercultural understanding. Most of the French units are planned through a CLIL approach (Content and Language Integrated Learning). 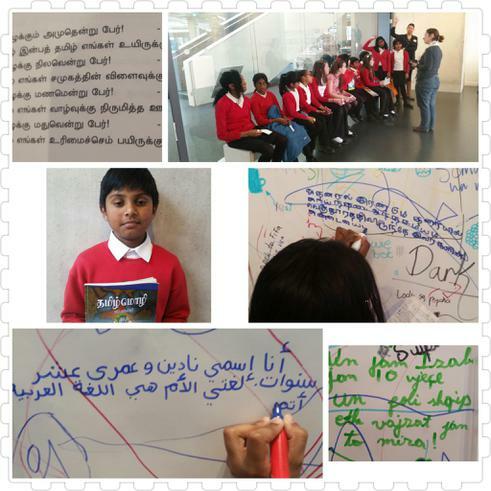 Linking the school topics to the language lessons allows the students to communicate for practical purposes (KS2 PoS), use higher thinking skills and be immersed in the language. 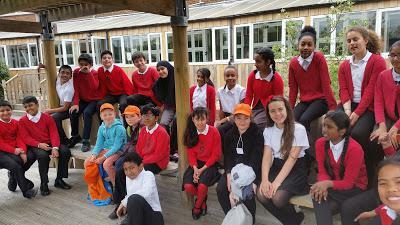 We regularly work on joint projects with our two French partner schools. In addition, we embed a creative range of international activities to provide the children with a window into different cultures and countries, preparing them for life in a global society. The topics listed may change in terms of focus and length depending on pupils’ needs. 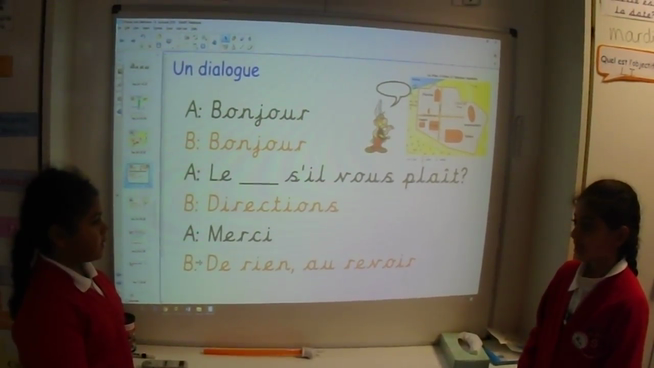 Please see our French blog Français pour loulous to know more about the activities we do in class and to see samples of the pupils work. Ask Madame Rivas for the login to linguafun, our language learning site where children can enjoy practising the language they have learned in class through a variety of activities. We regularly work on joint projects with our three French partner schools: École La Cougourlude (Lattes) École Providence (Paris), École Maurice Tollemer (Cherbourg). The children develop fluency in the process of writing letters and recording videos to their pen pals. 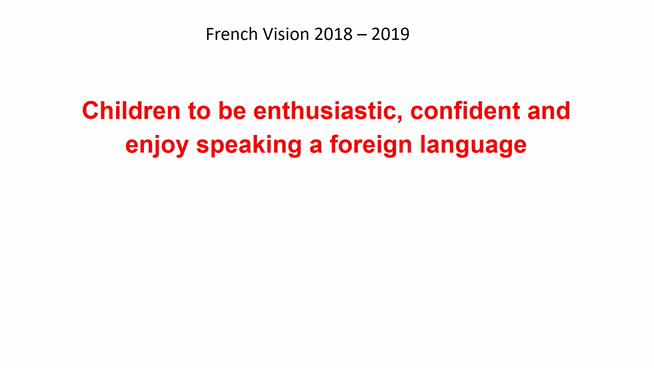 In addition, school partnerships add an extra dimension to language learning and build intercultural understanding in a real context, as the pupils experience the French culture in first person. 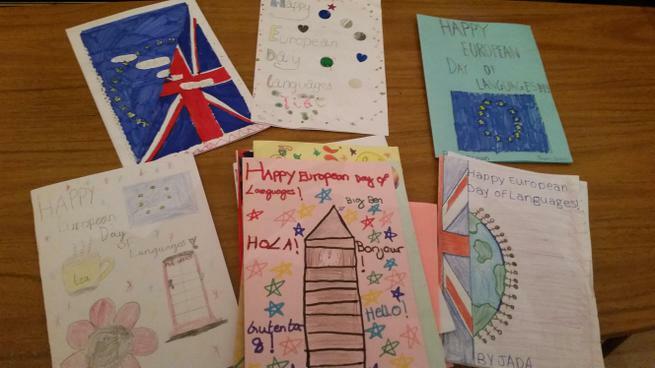 We celebrate languages and diversity all year round. 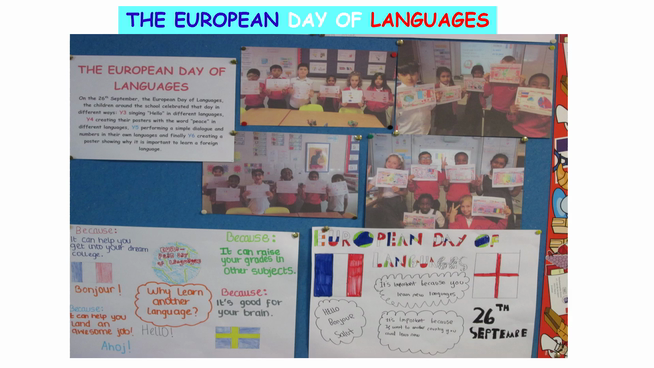 We participate in international projects to mark the European Day of Languages and the International Mother Languages Day. 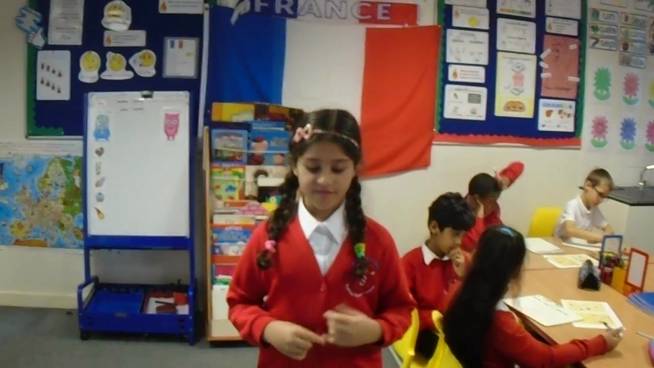 Every year we organise a French language and culture day where the children enjoy art activities, food tasting and a French theatre performance. 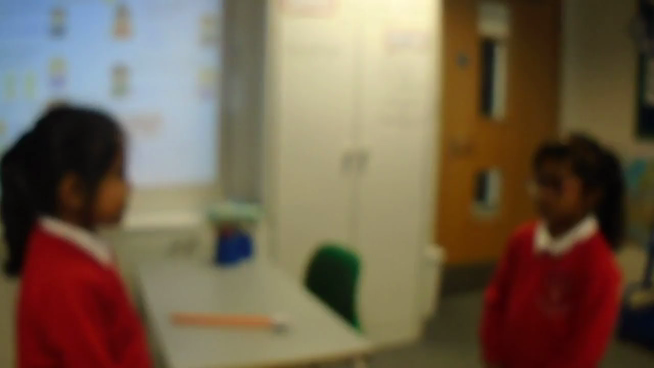 Ms. Rivas was awarded the Primary Language Teacher of the year 2017 for her creative teaching approaches with well developed CLIL (cross curricular) lessons, for having a good sense of pupils progress linked to the curriculum, teaching lessons which are very popular (favourite subject for two years in a whole school pupil survey), and for presenting workshops at different languages conferences as well as sharing ideas freely via her blog. Year 5 - What's your favourite book? Our French buddy travels to his home town. Bonne découverte de la ville et les monuments! Our French buddy shows us some French food and drinks. Bon appétit! Notre ami Toto voyage à Lille et nous montre quelques sites touristiques. Bonne visite les enfants! Notre ami Toto va en Provence. Découvre les coins les plus beaux de Marseille et Aix-en-Provence!